This picture is an amazing memorabilia. 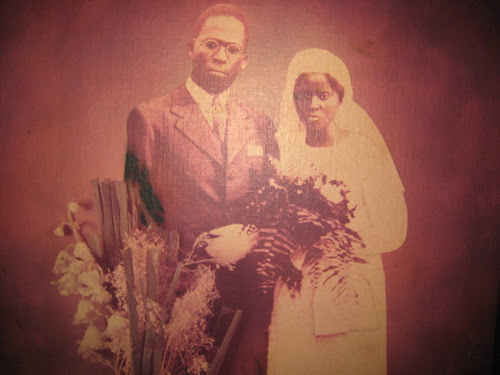 It's of of Chief Obafemi Awolowo and his wife HID Awolowo on their wedding day, 26th December, 1937. Most of us know about Awo's political exploits, but less about his wife. She looks so meek and mild here, right? But she went on to be just as ambitious and achieveing as her famous husband. And she lives on. Wisdom teaches that women are like diplomats. Do not expect a straight answer from them to such a request. They would never say yes. They would say “No” when they actually mean “Maybe” and “Maybe” when they mean “Yes.” So it was that young Hannah said “No” which late graduated to a “Maybe.” At this point, young Obafemi knew he had won the battle. 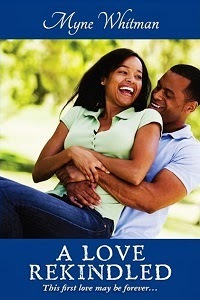 The article goes on to paint in broad pictures, her life with Awo from his education in London to returning to Nigeria, and all the trials and triumphs of their life together. Awolowo has been known to describe her as his "Jewel of inestimable value. "Wiki describes her as "A successful businesswoman and astute politician, she was the First Lady of the old Western Region. She played active role in the politics of the Western Region. To fulfill her husband's dream of becoming the President in the second republic, she toured the length and breadth of the country with her husband campaigning. She also coordinated the women's wing of the party and was always present at all party caucuses. A successful business woman, she became the first Nigerian distributor for the Nigerian Tobacco Company (NTC) in 1957. She was the first to import lace materials and other textiles into Nigeria." Thanks Yeoal, for this picture, and the opportunity to know more about this couple, and this amazing woman.